We all know the benefits of exercise to our physical health, but what about the effects on our mood? Exercise releases neurotransmitters in the brain including serotonin, endorphins and dopamine, which create a sense of euphoria. In fact, it’s said that exercise can have the same effect on the brain as some drugs can, but without the horrible comedown. 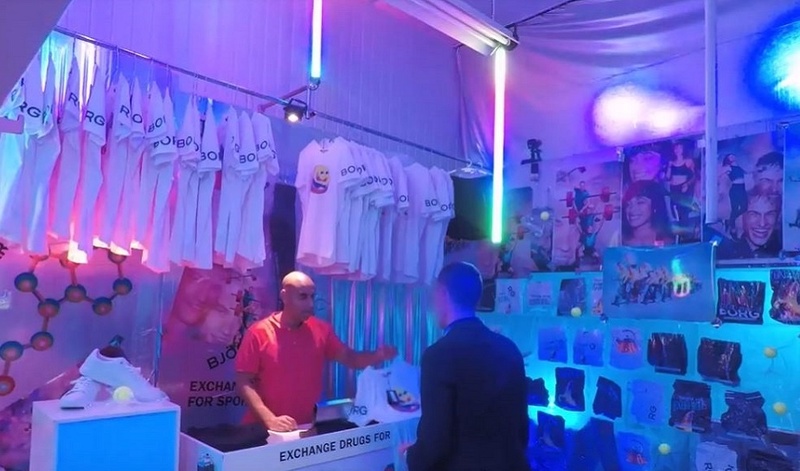 This was the focus of a new campaign from Swedish sportswear brand Björn Borg, called ‘Chase the Exerhighs,’ which included an educational and highly impactful experiential activation. 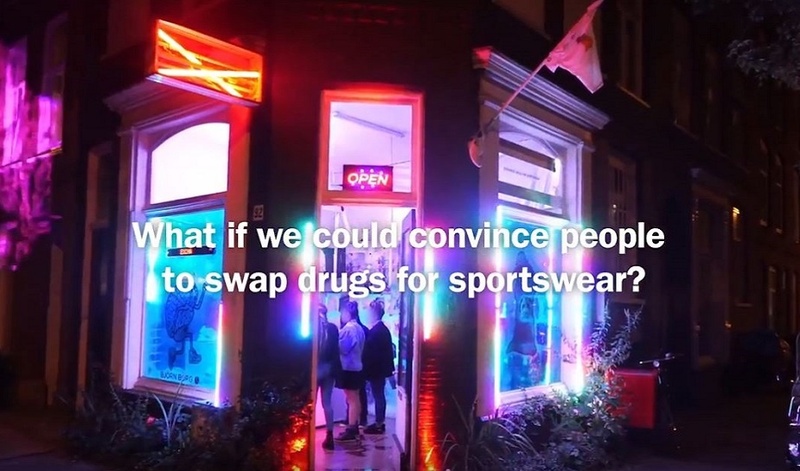 To endorse the undertaking of exercise as a much-healthier stimulant to drug-taking, the brand took a hard-hitting approach with an innovative pop-up shop in Amsterdam. Other brands have used creative methods of payment for goods before, but never before have we seen one where customers could buy things with drugs! In the heart of the Dutch capital, the unusual shop was lit up in trippy neon lighting and along the walls were rails of limited-edition Björn Borg sportwear bearing illustrations by Patrick Saville, whose ‘70s-style art also evokes the feeling of a hypnotic state. The dream-like illustrations also featured on the wall decals and instructions to ‘exchange drugs for sportswear’ were plastered over the floors, counter and walls. Hidden cameras were positioned in and around the shop to capture the customer experience. The concept is unsurprisingly quite unbelievable to the startled consumers who question if the shop is real or acting legally. And naturally are wary and suspicious of handing over any drugs in case it’s a trap. However, many gather their confidence and hand over their stash in order to get their hands on a piece of the coveted sportswear. The wider campaign also includes four very short ads using trippy music and crazy graphics to raise awareness. It is supported online and includes some bizarre GIFs on social media. The brand, founded by iconic tennis star Björn Borg, is not afraid to take a bold and inventive approach to capture attention, like the time it created a controversial US vs Mexico tennis experience and this clever Twitter punch bag activation.